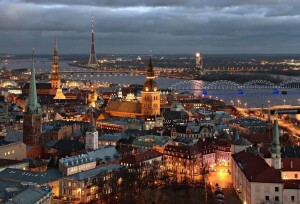 Final Conference for the ” Long-term patients IT skills” training project Riga Thursday 27. April. Thursday 27. April the Center will be represented with a talk at the Final Conference for the ” Long-term patients IT skills” training project. The Center has been an active partner in the project. The Long-term patients IT skills” training project is a Health Promotion project where the main aim has been to develop long-distance IT skills training program for long term patients in Latvia. There has been five partner organizations – Vidzeme University – responsible for IT programm development, 4 NGOs that have worked with hospitals in Latvia and NTNU Center for Health Promotion Research. The role of the NTNU Center for Health Promotion Research has been to provide consultations for Latvian Vidzeme University in their development of the training program and also in January 2015 to host and organize a 5 day study visit for Latvian partners to Norway. The Center has also participated in 2 project meetings and one consultation meeting in Riga, and as a discussion partner of the project development during the whole 20 months period of it, starting from September 2014. Four researcher represented the Center and the ARK Intervention program when the European Academy of Occupational Health Psychology arranged its 12th conference entitled “OHP in Times of Change: Society and the workplace” in Athen 11-13 April. Marit Christensen and Siw Tone Innstrand gave an oral presentation on new measure on work environment “The work environment and med – Development and test of the Trondheim Co-workership Scale (TCS)”. Karoline Grødal gave an excellent lecture on the “Psychometric evaluation of the Norwegian version of the Work-SOC scale”, and Eyvind Helland presented new results from the ARK project: “Does empowering leadership facilitate work engagement in higher education?”. 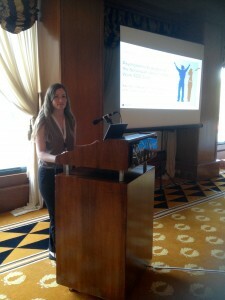 Altogether seven researchers were attending from NTNU represented as a common research group. The abstracts should preferably be within the scope of health promotion in hospitals, communities, and implementation research. Please note that the deadline for submission is the 1st of May 2016. Geir Arild Espnes, Conference Chair. The title of this year’s forum is Next Society – reflecting the need for changes within the health systems around the world. Until now, health-promoting thinking has had little impact on the health system. However, health promotion may be an important part of the solution for these systems, in order to solve the health service challenges they face worldwide. Knowledge about health promotion in the health services is scarce. Researchers and practitioners therefore need to meet to discuss theories, methods, practice and implementation of health promotion. The International Forum for Health Promotion Research is the place for this. See you in Trondheim in late September. The Center is present at the making of a new HP/Salutogenic research program at The National University of Singapore. 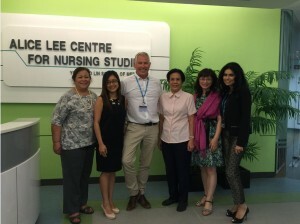 its origin in the Alice Lee Centre of Nursing Studies (ALCNS).